Thomas Calcraft's original homestead shack from circa 1911. Right hand half is the original, later extended and now relocated to a neighbouring farm for use as storage. View north to the site of Arthur Calcraft's homestead (Elwin Chapman's hut and homestead in the foreground). It is a long, long way from the lush, fertile Vale of Belvoir in the north east corner of Leicestershire to the wide skies and flat expanse of stony land in the mid-west of Canada, but at the start of the twentieth century several men from Bottesford and Muston elected to move across the Atlantic to try their fortunes out on the prairies. A core group of five of those men took the name Calcraft across to the young Dominion. The first of the Calcraft family to emigrate to Canada was Thomas William Calcraft who travelled there in 1901. He would have been tempted by the information campaign that the Canadian Government spread across parts of England in their efforts to attract young farmers to help to populate the western lands in a race against the Americans. The “Last Best West” programme offered free passage across the Atlantic and access to parcels of land for just $10. Each province had been surveyed and theoretically divided into “homestead” plots, each a quarter mile square giving 160 acres, and all a person (any male over 18 and any female who was head of a family) had to do was to travel across the emerging rail network to the places where new allocations of land were being released. They then had to commit to an initial three year period cultivating the plot, for which they would need a bull or horse to work the land, and to the building of a small shack after which the claim could be proven and full title obtained to that homestead. Even so many young men could not afford the initial funds needed to supply their first year on a new homestead and they had to work for other people to earn their living. That could mean becoming a farm hand on a permanent basis or else taking part-time work and moving to wherever the next job could be found. Thomas had been born in Muston on the 15 February 1880, the second son of Joseph and Ann Calcraft of Breeder Hills Farm. He attended Muston C of E school from 1887, starting on the same day as his brother Jack who was a year older, and then worked on the farm. With several brothers in the family and all surrounding land already taken, Thomas would have known that his prospects of owning his own farm in the Vale of Belvoir would have been slim. When the Canadians put up posters and passed through the area in a scarlet wagon decorated with wheat sheaves and jars of maple syrup to show the potential crop bounty to be gained, Thomas decided to try his luck in the new country. It is unclear how Tom made his living in those early years in Canada but we do find him in the census of 1906 having met up with his elder brother Joseph and living as a hired man on the farm of a Charlie Hunt at Qu’Appelle near Indian Head. Joseph had become a railway worker and, after marrying Emma Hammond at Boothby Pagnell in 1900 and time working in Yorkshire and Leicestershire, he travelled with his wife and new daughter Florence in 1903 from Liverpool to Montreal. Florence later wrote that it was her uncle Tom who had persuaded her father to take his family across to Canada to seek a new life. 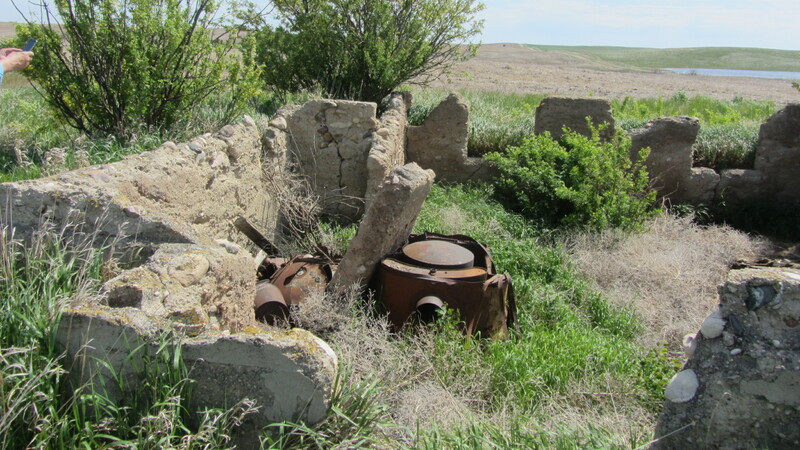 By the time of the 1911 Canadian census the family had relocated to Qu’Appelle where Emma and Joseph, by then a school caretaker, had added two sons to their family, and a further two would follow. Further detail on Joseph and Emma’s life can be found at this link. Around 1907 Tom Calcraft went back to England to visit his family at Muston. In 1908 he returned to Canada and this time took his younger brother Arthur with him. They made their way right across to British Columbia in the far west and spent two years there, probably as itinerant workers, before returning to the UK in 1910. In the spring of 1911 they set out again, sailing steerage class from Liverpool and landing at Montreal on the 7 April. 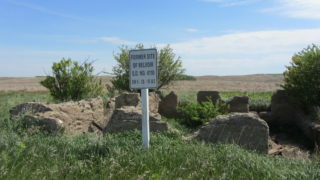 They stated on the ship’s manifest that they were going to Indian Head, Saskatchewan, so their first aim was to meet up again with their brother Joseph. From there Arthur and Tom found work as labourers at Balgonie, at that time a village on the railway between Indian Head and the growing town of Regina, which would later become the provincial capital. 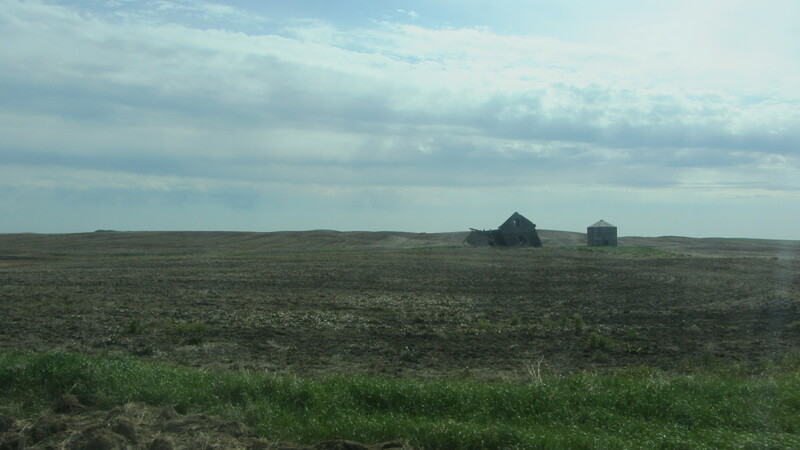 On the 23 October 1911 Tom had saved enough to put down the deposit on his first homestead located at NE 6-28-16-W3 in the rural municipality of Pleasant Valley some 200 miles north west of Balgonie. He must have taken the railway to nearby Rosetown and worked there for a while before taking a trip to the Dominion Land office in Saskatoon to make his application when they released a new tranche of land. A few months later Arthur took the neighbouring homestead on the NW quarter. His homestead record shows that Thomas broke 40 acres of ground in the first year, cropped those 40 acres and broke a further 40 in the second year and cropped 60 acres and broke 10 more in the third. His wooden building measured 12 x 20 feet with an accompanying grain store and he had one cow and four horses. His neighbours George Breckenridge and Edwin Hunt attested that they had witnessed him working the land and his grant was ratified in Ottawa on the 16 February 1915. Arthur’s homestead was confirmed on the 15 July the same year. In 1912 they were joined by brother Frank Calcraft who started to work his own homestead immediately south of Tom’s but administratively over the boundary in the next rural municipality. After a while the men at Pleasant Valley were joined by other colleagues from Bottesford and Muston. 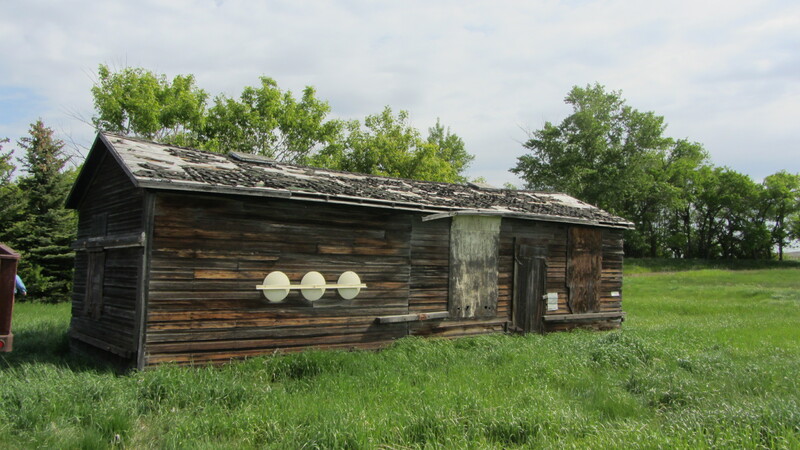 Frank Raithby had tried to work a homestead further south in Saskatchewan at Parkbeg, not far from Edward Harby whose sister lived in Muston, but the ground had proved unworkable so he gave up his first homestead, worked for a while at Pilot Butte, and then made his way north to McGee near Rosetown. In the summer of 1912 he started again on a plot next to where Thomas, Arthur and Frank Calcraft had settled. Raithby took over a 1/4 mile plot that two previous homesteaders had failed to make work, but after three years he had 60 acres under crop. Frank Calcraft was one of the neighbours who swore the oath affirming that Frank Raithby had worked his land to meet the grant requirements. George Bend moved to Rosetown where he worked as a waiter. Both Raithby and Bend would enlist and fight in France. John Henry “Jack” Calcraft also travelled to Canada in 1913 but went to Indian Head to be with eldest brother Joseph. Jack took a few months to establish himself and then sent for his wife, May, who arrived in 1914 with their two daughters Irene and Grace. Jack Calcraft took over a farm at an area near Indian Head called Sunny Slope and was soon employing other men to help run it. Life out on the prairies could be very tough and especially lonely. 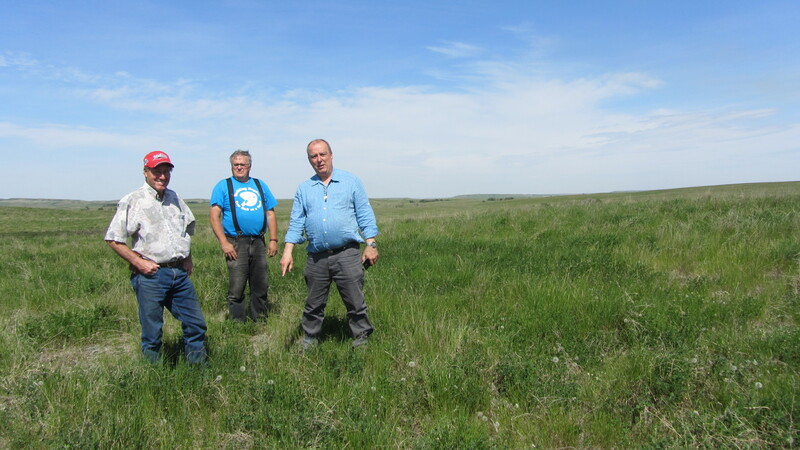 The land could only be worked for half of the year due to the harsh winter weather. The Calcrafts at Pleasant Valley coped with the extremes, no doubt lending each other assistance by way of encouragement and camaraderie as well as manual labour. One of their neighbours was not so fortunate – Elwin Chapman had the 1/4 section next to Arthur and Tom, living in a small shack with his wife and child. The eerie silence of the prairie became too much for Elwin, he started to hear voices and one night he let himself out of the shack, walked six miles north and threw himself down a well. When the First World War started Tom Calcraft felt it his duty to join the army to add his support to the fight for the home country. He attested with the Canadian Army on the 23 December 1914 at Saskatoon and became Private 114010 in the 9th Canadian Mounted Regiment. His attestation form shows that he had previously served for a year with the 2nd Battalion of the Leicester Regiment, so he did have previous military experience, a point in his favour considering he was already almost 35 years old. It also notes that he had a marked convergent squint, but not bad enough to require glasses or to impact his left-eyed aim. On the 26 June 1915 Tom Calcraft was transferred to the Fort Garry Horse Regiment just in time for their sailing to England where his assigned duties were in the Canadian Corps Reinforcement Depot, providing officers and men to replenish the strength of the Canadian Cavalry Regiment fighting in France. His training record card shows that he passed the instruction in bombing, entrenching, musketry, obstacles and gas. The 1916 Canadian census listed Thomas at his homestead address of 6-28-16-W3 but also stated he was at Shorncliffe, recognising that he was away on military service. 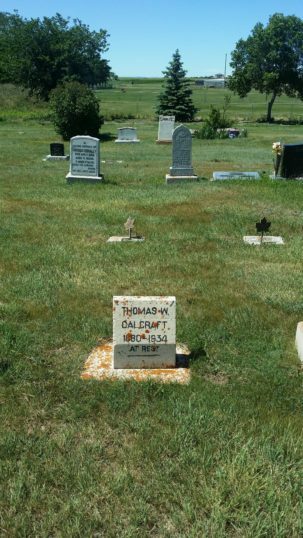 His religion was noted as Methodist and Arthur was shown on the line above Thomas but resident at Pleasant Valley. Their brother Frank was listed under the RM of Fairview, Kindersley that year, which was another postal location a few miles further south near Plato. Thomas was based around Shorncliffe Camp and also in Orpington where he met Nellie Sarah Bailey. They married in Lewisham in 1917. He was in trouble with the army authorities in January 1918, getting a fractured jaw when struck by a military policeman and spending over a week in the Ontario Military Hospital in Orpington as a consequence. His overall service must have been good though as he was entitled to wear 4 blue chevrons after the war due to military service and good conduct. In September 1918 he transferred to the Lord Strathcona Horse Regiment and it was with them that he shipped home aboard the SS Megantic in 1919. He was encamped in Rhyl in North Wales just prior to sailing on the 19th January and was fortunate to leave when he did as conditions at the camp were poor and in early March 20,000 war-weary men rioted in protest at repatriation ships being cancelled due to strikes – five men died in the riots. Frank Raithby also joined the Canadian army to serve in France, but did not survive to return to his homestead. His story is told at this link. Tom Calcraft was formally discharged on the 20 February 1919, but even before he was back at his farm in Pleasant Valley he led the establishment of the new school that the people in each township were obliged to build as their population grew. Tom named the school after his original home area and consequently the Belvoir School District was founded on the 2 November 1918. They also set up a local Post Office with the name Belvoir with mail routed via McGee Saskatchewan. Tom explained to his neighbours that the name came from the castle that overlooked the farm where he grew up. The community set to work to build a schoolroom to a standard design with a concrete foundation, and when that was complete they would also have needed to build a school house for the teacher. By 1919 they had a teacher, Helen Laura Wallace, and Arthur Calcraft had become chairman of the school with a Thomas Oliver as the secretary and treasurer. The community all took their turn on the school board, so that Tom Calcraft took over the secretary/treasurer role for the years 1925 to 1927. In the 1921 Canadian Census Thomas and Nellie are listed at the homestead. They had extended the original shack to be twice the size and there they had three daughters, Marjorie Rose in 1923, Elizabeth Helena in 1926 and Patricia in 1931. Arthur and Frank Calcraft made a trip to England to visit their family in 1921, returning to their homesteads at Belvoir SK that December. However their affections for two young ladies back in Leicestershire had changed their priorities and they both returned to England a year later. Although they noted on their travel documents that they were Canadian residents and intended to return there, it seems that they never did. Each left his homestead under the care of their brother Thomas, but Arthur elected not to return during the summer of 1923 and he married Frank Raithby’s sister Elsie May on the 27 September at Bottesford. They had two sons, Joseph Frank and Peter and lived at Sedgebrook Mill Farm. In 1924 May Calcraft died at Indian Head and Jack Calcraft decided the following year to sell his farm and return to the UK. He was accompanied by daughter Grace and they returned to live at Breeder Hills, but his daughter Irene stayed in Canada and married Jack Bottomley, who was originally from Bradford and had been a labourer on her father’s farm. Irene and Jack worked on several farms in Saskatchewan and had three children. Frank Calcraft followed the lead of his brother Arthur and settled back in England where he married Mabel Hallam on the 4 March 1924 at the United Methodist Church in Grantham. 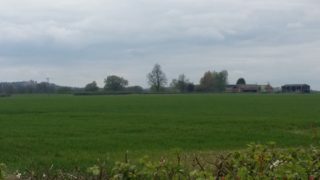 In 1926 Frank and Mabel were farming at Little Ponton near Grantham, then moving to Bingham and by 1939 living in a cottage on Main Street, Barkestone-le-Vale, about 5 miles west of their Calcraft relatives at Muston, Bottesford and Sedgebrook. Through those years Frank and Mabel had four sons and two daughters and eventually they relocated to Exeter in Devon, where Frank died in August 1977. Thomas Calcraft died in 1934 and Nellie knew she could not continue to work the homesteads with three young daughters on her own so she packed up her household and took the girls back to England. Interestingly this London-bred woman decided to move back to Muston rather than to her native Lewisham and so Marjorie, Betty and Patricia were brought up at Breeder Hills. Thomas had written a will whilst in the Canadian army in May 1917 which left his property to his wife Nellie, then resident in Folkestone. After Thomas had died and Nellie returned to England she left the homestead with some outstanding debts and the local administrators lost track of her after 1934. The land was not reassigned until July 1945 when a local farmer, Leslie Fisher Ferrier, agreed to pay off any accumulated debts so that he could take over the land, which by then had been made part of the village of Gunworth. The name Belvoir has been retained for the road leading from the highway to the area where the Belvoir School foundations can still be seen.